A portrait of Duncan MacCallum the studio manager at ACME Studios, with one of his cats, Sienna. 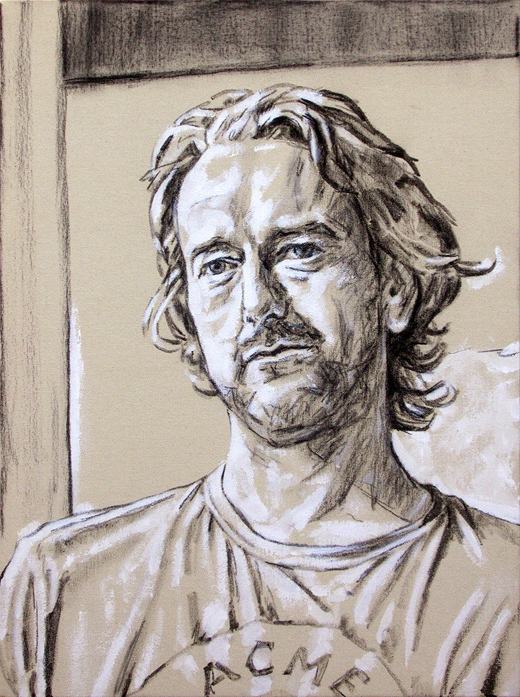 This is another in the series of life-sized portraits of artists in my studio block, in this case he is a sculptor and very fine cabinet-maker. Again I produced a monotone sketch on raw canvas, a method I find helps in formulating my intentions as regards the final painting. 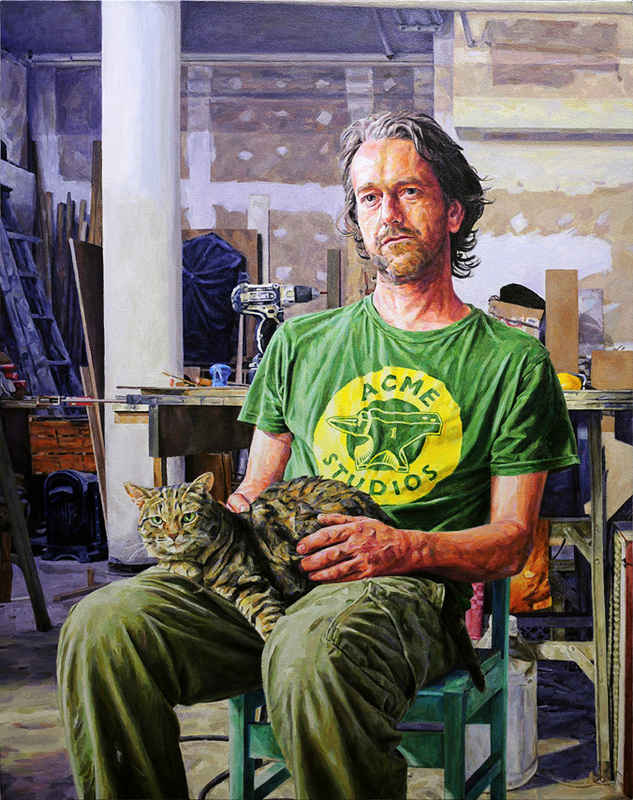 I designed the T-shirt that Duncan is wearing as well, it was used as a fund-raiser for opening a third small gallery within the studio block.